A Sampath Kerala member of Parliament (MP) Attingal 2014 LDF candidate profile and biography is given here. A Sampath who had been much active in politics from his young age is closely attached with the Communist Party of India Marxist. Sampath is currently a member of All India General Council, State Committee Member and the District Vice-President of CITU. In 2014, A Sampath will contest the election from Attingal. Read more about A Sampath, the current MP from Attingal. Anirudhan Sampath popularly known as A Sampath is an Indian politician who is currently an MP representing the Attingal Constituency. Born on 22nd July 1962 at Thiruvanathapuram as the son of Shri K Anirudhan, A Sampath entered into politics through the Students Federation of India (SFI). After having his schooling from Govt. Model High school, Sampath has done his Masters Degree in Economics from Govt. Arts College Thiruvananthapuram. After completing LL.M (Constt. Law) from Govt. Law College Thiruvananthapuram, he moved forward finishing Ph.D (Law) from University of Kerala. He got qualified with UGC (NET), Certificate in Russian (All India Institute of Russian Language, New Delhi) and Diploma in Computer Management (ER&DC). Sampath who got interested with students politics was motivated to join the Students Federation of India (SFI) during the Internal Emergency period of 1975-77. At that time, Sampath was appointed as the editor of "Balasabdam" children's magazine. Later he become closely associated with college union and got elected as Chief Student Editor, and then as College Union Chairman of the Govt. Arts College, Thiruvanathapuram. During his studies for Law he was elected as the University Union Councilor from the Govt. Law College. A Sampath become closely associated with academic structure including the Member of Kerala University Academic Council, Member of Senate etc. He was the President of SFI Thiruvananthapuram District Committee and also the President of Trivandrum Co-operative Agricultural Development Bank Limited. He also held positions like the State Joint Secretary, Vice-President and member of the Governing Body of the Indian Red Cross Society (New Delhi). While serving as the Chairman of the Govt. Arts College Union, Sampath took the leadership of conducting the Diamond Jubilee Celebrations. Being a multitalented person, A Sampath had written hundreds of articles in various Magazines and Newspapers like Desabhimani and Kerala Kaumudi along with putting his service as Sub-Editor in Newspapers like 'Vishwakeralam' and 'Yeenadu'. After working in the Govt. Law College Thiruvananthapuram and Police Training College as a guest faculty, A Sampath was appointed as permanent Lecturer in Law of the Govt. Law College. His keen interest to focus on politics and social works made him to resign all educational posts. Other than known as a politician, Sampath is an advocate, trade unionist and writer. 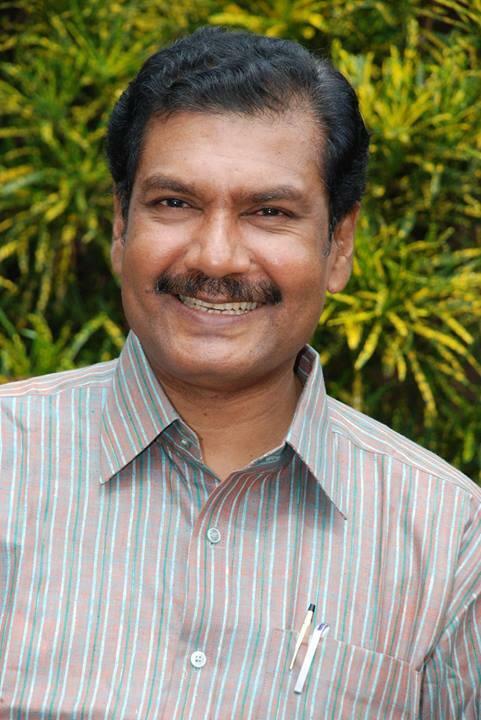 Sampath got elected to the 11th Loksabha from the Chirayinkeezhu Constituency, Thiruvananthapuram District in 1996. Much interestingly it was in this Constituency his father Shri. K. Anirudhan also got elected to the IVth Lok-Sabha in 1967 by defeating the then Chief Minister (late) Shri. R. Shankar. In the 2009 general elections to 15th Lok Sabha, A Sampath was elected from Attingal Parliament Constituency which is the reconstituted Chirayinkeezhu Constituency. In 2014, A Sampath will contest the election from Attingal giving a sturdy competition to his arch rivals of Indian National Congress, BJP and AAP.